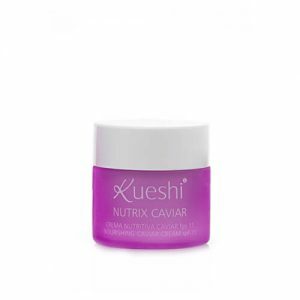 The anti-aging cream Nutrix Caviar is a nourishing treatment that, thanks to the combination of active ingredients nourishes and tones the skin while helping to retain moisture and eliminates signs of aging. Its high content of caviar extract has a high content of fatty acids and essential amino acids, peptides and trace elements structuring able to revitalize tissues. 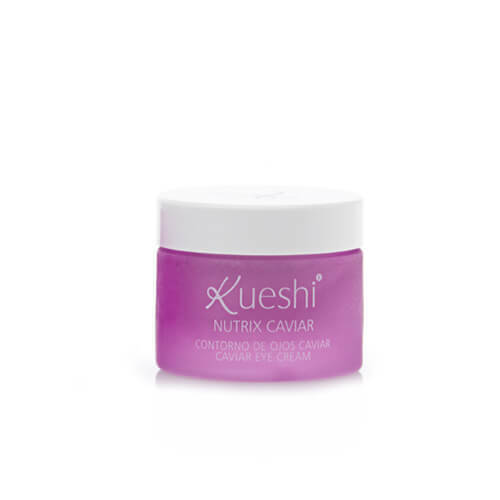 In addition, the cream increases Nutrix Kushi caviar production of collagen and elastic slowing aging of tissues. 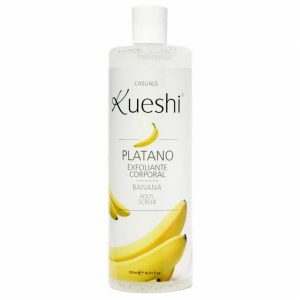 Apply gently into the skin of the face in the morning or evening after cleansing the skin. Ingredients: Aqua, Octyl Palmitate, Isosonyl Isonanoate, Aloe Barbadensis Leaf Juice, Ethylhexyl Methoxycinnamate, Glycerin, Stearyl Alcohol, Glycery Stearate, Methyl Glucose, Sesquistearate, Caviar Extract, Olea Europaea Fruit Oil, Butyrospemuy Parkii Butter, Persea Gratissima Oil, Benzyl Alcohol, Dehydroacetic Acid, Tocopheryl Acetate, Imidazolidinyl Urea, Carbomer, Parfum, Disodium Edta, Sodium Hydroxide, Linalool, Limonene. Caviar + Resveratrol + Olive Oil + Avocado Oil Sweet Almond Oil +Vitamin E.
Caviar Nutrix Products are based on the unique ingredient of Caviar, which thanks to its essential amino acids and the variety of trace elements, which have nourishing, regenerating and restructuring properties, is able to revitalise the tissues. This treatment with Caviar Nutrix helps slow skin ageing. The Nutrix Caviar serum combines the nourishing action of caviar extract with the exceptional antioxidant and rejuvenating resveratrol. While Caviar extract provides the relevant nutrients to the skin, resveratrol prolongs the longevity of cells and naturally slows the signs of skin ageing. 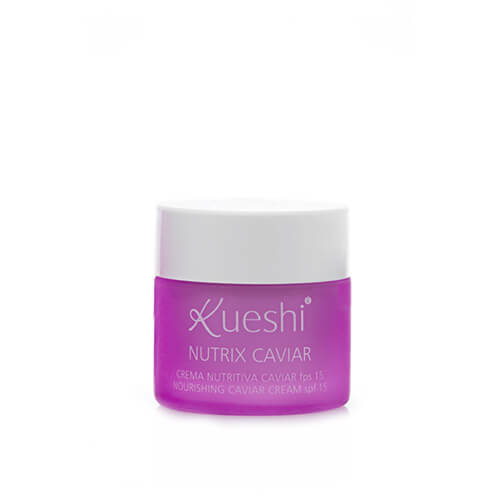 The composition of the Caviar Nutrix serum leaves a smooth, soft, hydrates skin and diminishes imperfections. It is important a good daily facial cleansing facial creams and always use a sunscreen of at least SPF 15. Of course also a varied diet rich in vitamins and minerals are essential for healthy skin. Ingredients: Aqua, Octyl Palmitate, Isononyl Isonanoate, Methylglucose Sesquistearate, Glycerin, Caviar Extract, Hydrolyzed Collagen, Hydrolyzed Elastin, Adenosine Triphosphate, Panax Ginseng Extract, Echinacea Angustifolia Extract, Fucus vesiculosus Extracta, Prunus Dulcis Oil, Olea Europaea Oil, Persea Gratissima Oil, Glycerin, Stearyl Alcohol, Benzyl Alcohol, Dehydroacetic Acid, Pichia/Resveratrol Ferment Extract, Sodium Hydroxide, Potassium Sorbate Sodium Benzoate, Imidazolidinyl Urea, Carbomer, Parfum, Linlool, Limonene. Caviar + Royal Jelly + Olive Oil + Avocado oil + Sweet Almond Oil + Shea Butter + Vitamin E.
The eye contour Nutrix Caviar provides the delicate skin around the eyes feeling intense hydration and firming effect thanks to the assets of caviar, royal jelly, shea butter and natural oils. Restores hydration in the eye area helping this delicate area maintain a strong moisture barrier, calming bags and smoothing fine lines. Caviar has a high content of essential amino acids, peptides and trace elements structuring able to revitalize, regenerate and energize the tissues. Helps skin retain water restoring its natural balance and preventing dryness. Also increases the production of collagen and elastic slowing aging of tissues. 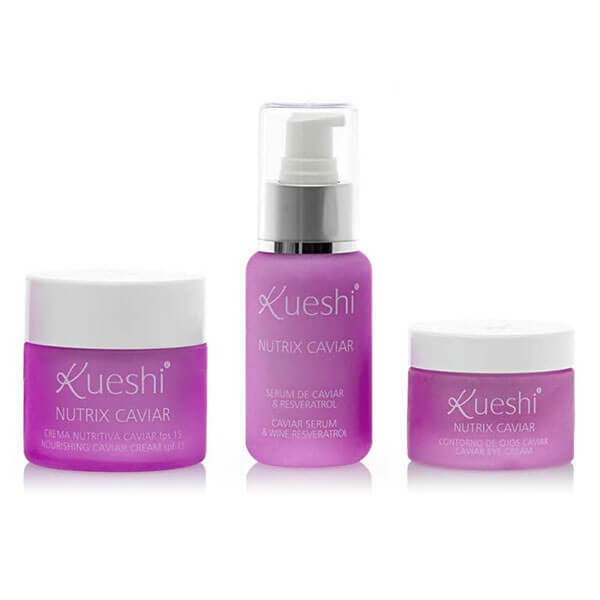 After cleansing and toning the skin well, it is advisable to first apply Resveratrol Serum Caviar and then the eye contour Caviar and Caviar Nourishing Cream Kueshi for best results. Ingredients: Aqua, Octyl Palmitate, Glycerin, Isononyl Isonanoate, Aloe Barbadensis Leaf Juice, Stearyl Alcohol, Glyceryl Stearate, Methyl Glucose Sesquistearate, Olea Europaea Oil, Butyrospermum Parkii, Royal Jelly, Persea Gratissima Oil, Cichorium Intybus (Chicory) Root Oligosaccharides, Glycerin, Caesalpinia Spinosa Gum, Gluconolactone, Dehydroacetic Acid, Benzyl Alchol, Tocopheryl Acetate, Potassium Sorbate, Sodieum Benzoate, Imidazolidinyl Urea, Carbomer, Sodium Hydroxide, Disodium Edta.